Preact is a UK based Customer Relationship Management consultancy working with all types of businesses in the private sector as well as charities and educational organizations. As a multiple award-winning CRM architect Preact has been helping companies achieve success from their CRM strategy since 1993. We offer the reassurance of numerous reference sites across multiple industries including IT, Telecommunications and Professional Services. Our aim is to help businesses achieve outstanding success from their CRM system whilst giving excellent value for money. 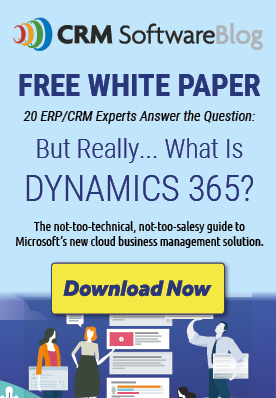 Leading with Microsoft Dynamics CRM, our experienced team pride themselves in giving 'jargon-free' advice. As you would expect from a Microsoft CRM Gold Partner all of our project team hold the highest accreditations. These include Microsoft CRM Implementation, Customisation and Developer Certifications, Microsoft Surestep Project Management and Prince2 accreditations. These 3 pillars are central to the way we behave both with each other, and with our clients. It's the difference between good, and wow! If you are looking for a fully project managed CRM implementation including integration with external data sources, or an accelerated CRM deployment we have a solution that will fit your requirements and budget. We invite you to learn more from our website, email [email protected], or phone +44(0)1628 661 810.